The mystery of the lost city of Atlantis still captures the imagination of millions. Was it real or just myth. Here are the basic facts. Lost civilizations really still exist. New discoveries are happening even as you read this. Places like the Nazca Lines Google Earth can now be clearly seen. New cities have just been found in the Amazon. Just because we haven’t found Atlantis doesn’t mean we never will. If you are genuinely interested in the story of Atlantis then the only place to start is the source – the writings of Plato and the stories of Timaeus and Critias. Solon (638 BC–558 BC) was a famous Athenian statesman, lawmaker, and Lyric poet who allegedly heard the story of Atlantis from Egyptian priests that he was visiting that claimed that the Athenians had forgotten their true history because from time-to-time their civilization had been largely destroyed by catastrophes. The Egyptian priests referred to the “Declamation of Heavenly Bodies”, meaning meteorites, which cause devastation on the planet. —–The Egyptian priests understood that from time-to-time there were serious natural catastrophes that involved fire and water (from which they had been largely immune). They attributed these to the actions of the Gods. A war once took place between the Athenians and the Atlanteans The Athenians apparently came from Athens. The war took place 9,000 years before the time of writing which was approximately 2,500 years before today – so in effect 11,500 years ago. Atlantis was allegedly an island greater in size than Libya and Asia combined. Atlantis was eventually destroyed by an earthquake. The Athenian Gods were at peace with each other. The story had been forgotten by the Athenians because of a great deluge whereby only the illiterate people of the mountains had survived. Solon inferred that the event took place before the time of Theseus. At the time the Athenians ruled a land from the Isthmus (of Corinth) to the heights of the Cithaeron (a mountain range in what is today central Greece) and Parnes. Oropus was the boundary on the right and the river Asopus the boundary on the left. The Athenian land was fertile and able to support a great army. Many floods had taken place during the 9,000 years prior to the recording of the story. Many of the cliffs surrounding this (Athenian) land had been eroded and fallen into the sea. Many of the woods that once existed have disappeared. The land was less eroded and less rainfall was swept into the sea. The climate was more temperate. 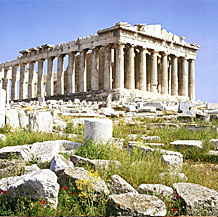 The Acropolis was larger and surrounded by soil and not the outcrop of rock it is now. There were once more springs that disappeared after an earthquake. The Athenians were healthy, beautiful people that were well prepared for war. Atlantis was an Island with a small mountain at its centre with fertile plains surrounding it. The central mountain had rings of water surrounding it. Water flowed from underground – some hot, some cold. Crops flourished in the fertile soil. 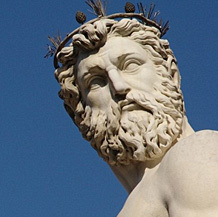 Poseidon’s first child (born on Atlantis) was named Atlas and the ocean around the Island was named Atlantic. From beyond the Pillars of Hercules the lost city of Atlantis controlled islands and lands as far as Egypt. They had extensive trade with other countries. 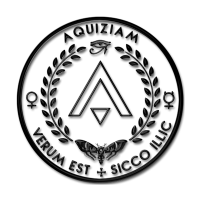 Orichalcum (an unknown red coloured metal or alloy possible a mixture of copper and gold) was common on the Island. The Island was well forested. There were a great number of elephants on the Island. The Island had chestnut trees. The City / island existed long enough for many rulers / kings to develop it. The lost city of Atlantis had a canal from the sea to an inner lagoon. Three kinds of stone, one red, one black and one white were quarried on the Island of Atlantis. They used brass to cover their dwellings and brass, tin and orichalcum to cover the outer walls of their cities. Poseidon’s temple at the centre had a barbaric appearance and the roof (interior) was made of Ivory. In the temple there was a statue of the god in a chariot. The lost city of Atlantis made use of private and public baths and then saved the water for use on their fields. The Island had cliffs on most sides but was otherwise a plateau with a small mountain at its centre and mountains to the North. The North of the Island had high and beautiful mountains. The plain featured a circular ditch (canyon) of such size (a 100 ft in depth) that it could not have been manmade. The military had war chariots. They benefited from winter rains. The land was divided into ten kingdoms each with its own city. No King was to ever make war on another Atlantean King. This rule lasted for a great time but in the end the Kings became victim to mortal desires and sins. That’s it. These are the key points. 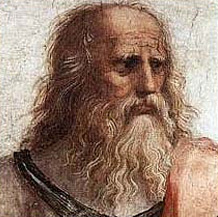 The remainder of the story as recorded by Plato is lost. So, what this means is that everything else that you have ever read, that is not a direct translation from the Hellenic (Greek), is either made-up, psychically received or conjecture. For the full transcript of the original document, click here. While it is unlikely that the lost city of Atlantis ever existed as a single place, the description presented by Critias is remarkably precise for a narrative. Plato himself asserts that Atlantis is a real place.